Please join us for Moonshine Jelly's CD release party, featuring Greg Ashley and special performances by Greg Jenkins, Travis Hendrix and Dan Cantrell. 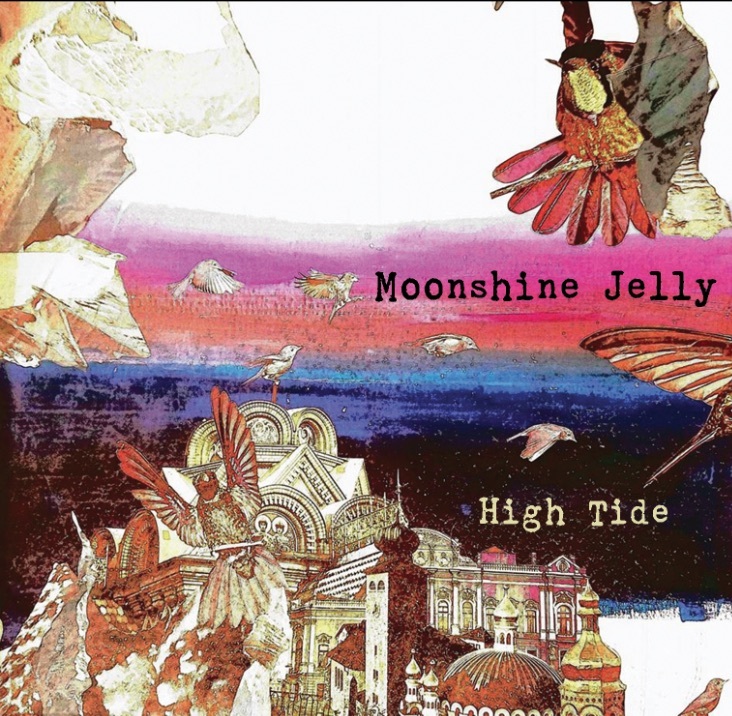 Moonshine Jelly's new release, High Tide, was three years in the making and they are proud to celebrate its arrival with their friends and fans in the Bay Area. The album was recorded at the Complex in SF and The Creamery analog studio in Oakland, CA. CDs will be available for sales at the show for $15 and the digital version will be released the night of the show on Bandcamp. Moonshine Jelly consists of violinist and vocalist Lee Corbie-Wells and guitarist and banjo player Kent Kessinger. The full ensemble often includes Margaret Marie on vocals and mandolin, Zina Pozen on accordion and John Thatcher Boomer on clarinet. For this special evening they will also be joined by Justine Lucas, Travis Hendrix and Juliana Frick. Also appearing will be singer/songwriter Greg Ashley, who has been a fixture on the underground music scene since the late Nineties, while strafing eardrums as a teenager in Houston in garage-punk band The Strate-Coats. Since then he’s proven himself not only as a songwriter, singer and guitarist in bands like The Mirrors & The Gris-Gris, but also as a producer/sound engineer via his Oakland-based Creamery Studio. Also performing with Moonshine Jelly for the first time ever will be a special performance by Greg Jenkins on clarinet, Travis Hendrix on stand-up bass and Dan Cantrell on accordion. Greg Jenkins is also the force behind Fanfare Zambaleta, MWE, and Disciples of Markos.